Now celebrating their 45th Anniversary, the indefatigable legendary three-man Durban-based Irish group have been at the heart of South Africa’s music scene for four decades, livening up parties and gala events with their own special brand of music, including Irish ballads, catchy pub songs, popular ‘newies’ and the occasional Irish jig. Comprising siblings Paul and Damien McIlroy and fellow band member, Tony Fisher, who all settled in South Africa in the 70’s, the three Irish-born musicians joined forces to form their own professional band in August 1974, landing a six-month contract to perform six nights a week at Durban’s Astra Hotel in Russell Street. Since the early 90s, the group have undertaken numerous international tours. Besides appearing in the United Kingdom, they have visited the Far East frequently, appearing in Singapore, Shanghai, Macau, Taiwan, Kuala Lumpur, Penang and Australia. They have performed in many world famous venues, notably the Excelsior Hotel’s Dickens Bar in Hong Kong during the Hong Kong Rugby 7th every March. 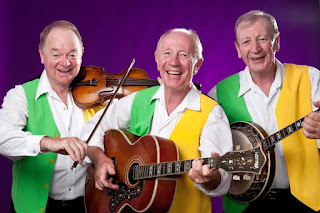 While scores of Blarney Brothers fans need no introduction to the famous group, new recruits can log onto www.blarneybrothers.co.za for perspectives on their rich performance history, as well as the titles of their CD’s, and other information. Shows take place on February 1 and 2 at 20h00 and on February 3 at 14h00. The venue opens 90 minutes before show for picnic dinner.